OS Licensing for tablets and smartphones has been a no-brainer for the past couple of years. It is always either the OS is owned by the hardware designer manufacturer (Blackberry OS, iOS, etc. ), or the OS is open source and is free to use by everyone (Android). There’s hardly ever a separate category for independent software developers creating device-independent proprietary software. That is, until the arrival of Windows 8. Unlike Android, Windows 8 is officially classified as proprietary commercial software. So, aside from the individual consumer software issue, this means that there are also rules and guidelines that hardware OEMs must adhere to before they feature the OS on their product. The fact that it needs to be licensed before it is installed on a tablet or hybrid laptop raises two questions that tackle the future path of mobile OS development. How would Windows 8 cope with the “free” nature of Android? Licensing is something that we regularly see on laptops and PCs. If you want to use a certain version of Windows, you have to purchase its license rights. It might sting a bit that you still need to pay a certain amount of money for your built-PC’s OS, but hey, that’s how things normally work. But so far, even if Linux-based operating systems are completely free, people still somehow want to use Windows. Why is that? It’s because they are pretty much accustomed to it already. It has been the dominant OS in the PC market for a long time, and people just got used to the idea that Windows is pretty much what they’ll basically need in a PC. The payment needed to license it is simply ignored, or is treated as a necessary expense. In the world of tablets, Windows is certainly not the dominating player. In order of statistics, iOS is in the lead. But Apple always had their hardware and software bundled together, so there’s no competition software-wise. The next guy is none other than Android, and that’s where the question arises: how would this single pay-to-use player stake out against a comprehensive mobile OS that is developed, distributed, and licensed for free? Perhaps it would be just like how Windows Phone OS are licensed to mobile phone manufacturers? ZTE have previously revealed earlier this year that the licensing cost of Windows Phone 7 was around $25. It may not sound much, but that shaved 3-5% could have been spent on improving at least one quality of the product. Think about how much Samsung saves on their Android-based smartphones. About The Author: This guest post has been written by Nick Patrick, writer for Windows 8 Phones. 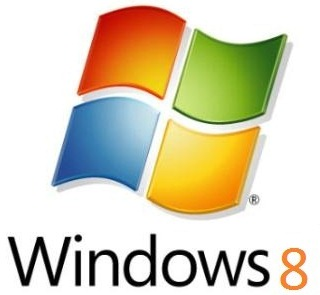 Visit us for more news on everything Windows 8.